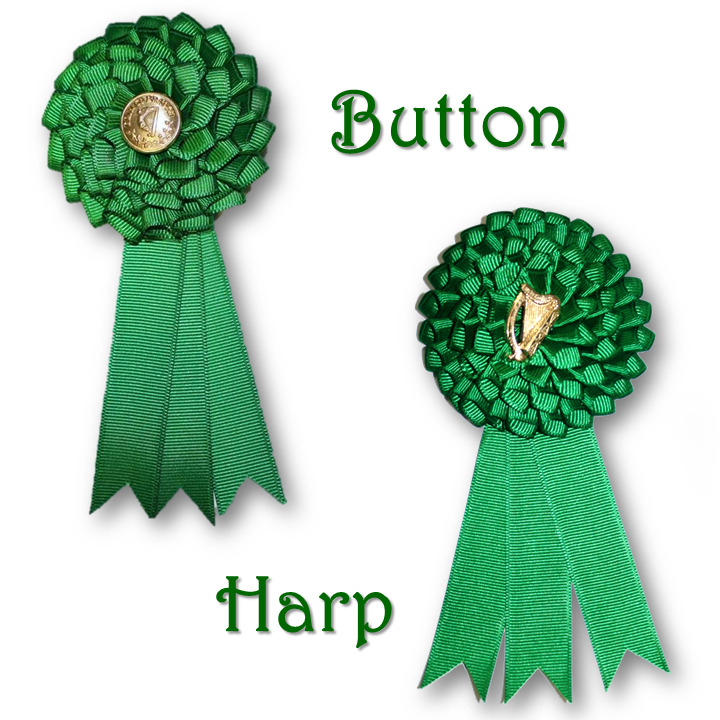 Description: Grosgrain ribbon, reproduction button or gilt harp. Approximately 3" (7.5 cm) across rosette. Streamers are approximately 3" (7.5 cm) long. Pin on back is silver-plated and 1" (2.5 cm) wide.